Join Us - Help a Child! please email us a list. click on the image to submit. "I realized when being in some remote places that we really are all the same. We are all part of the one universal soul and are all very much connected with the one soul whether or not we understand it or practice it. We all laugh, love, make love, cry, experience illness and health at different times. Everyone goes through life with friends, obstacles, challenges, social time, learning about ourselves, learning who we can trust and not trust, dealing with the beliefs imposed on us by our parents and teachers, happy days of high joy and days of sadness and loss, the pull of greed vs. compassion, etc. It does not matter where we live or what language we speak, what our current economic situation is, whether or not we have our basic needs met or live in abundance. Some people look down on what they perceive as "peasants" because they live in different surroundings. But when you look into their eyes you will always see the same thing. And, some of the people living in shacks have as much or more light and spirit in their eyes as the ones living in opulence. Often more. We are all the same even though we may want, and try to think, and act differently. We all deserve an opportunity to follow our hearts; to be playful and creative in ways that help better define our unique role and joyful contribution to the ONE. We are all ONE... There are many local heroes, you too can be an example of Love and Compassion by helping a child follow their heart to joyfully create and realize their greatness!" Each and every person is entitled to play, heal and grow by knowing they are magnificent in their own right and are to be treated with love, honor and respect. Many children grow up never realizing their true value or get to explore their unlimited creative potential because they were raised in families that for one reason or another could not or would not provide opportunities of creative self expression. My greatest joy is to observe a child of any age realize their value. There is nothing more gratifying than to see a child play and smile or to hear their contagious belly giggle. I experienced this greater awareness of what brings me joyful bliss on my travels as a photographer and web designer with VTours in 2006. There I found many children living in the coffee plantations of the highlands of Panama, who provided me with the opportunity to know the very special gift of giving to another is the greatest gift of all. These little mountain kids were the ones who restored the smile on my face and helped me to know beyond a shadow of a doubt what truly matters in the world. As a result of my experience with them, I vowed to spend the rest of my life experiencing joy by giving joy to another; especially giving children of all ages whatever it takes for them to realize they have value and worth. At that time I entitled my mission, "The Joy of Justin's Kids", in loving honor and memory of the child I lost. There is nothing more radiant than the smile upon a child's face when they are acknowledged and supported. There is no greater joy than to see a child gifted both the materials and guidance they need to follow their dreams, to explore and develop their creativity so they may achieve great deeds! And we have seen when one is given to they in turn grow and learn how to give to others. Kindness and generosity experienced even for a moment along the path of a child's life, will never be forgotten. It will help them grow into self-loving individuals who will expand the love they are by expressing their love to others as well. They will evolve into self-responsible people and carry on the mission of people helping people because someone took the time to help them! 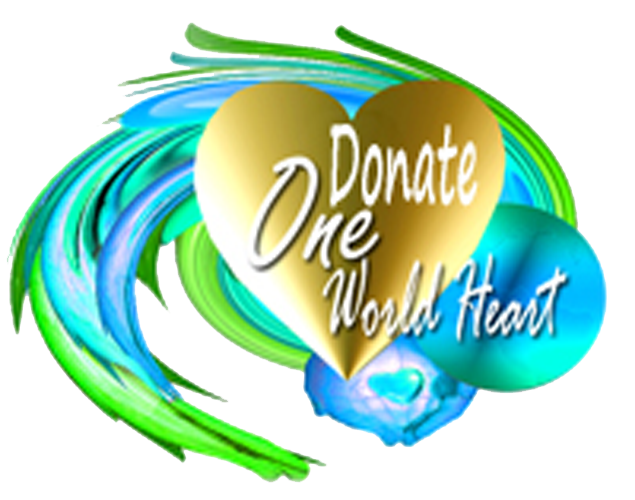 I encourage you to join us by donating to One World Heart so that all the stars can shine brightly and light up the world with their precious smiles and wondrous achievements.